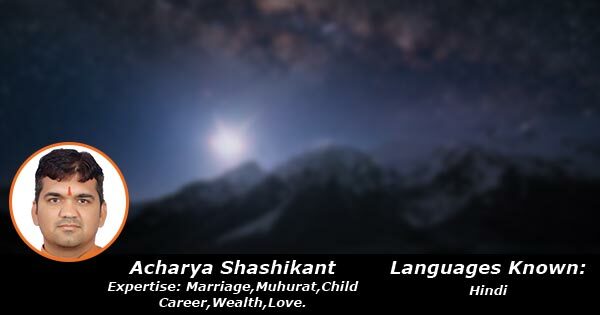 Achariya Shashikant has a vast experience of 5 years in the field of jyotisham. After completing his graduation in Jyotisham and Vastu, He has successfully completed his masters degree from jagadguru Ramanandacharya Rajasthan University Jaipur. He is specialized in Horoscope reading, marriage, Muhurat , Child and Career, wealth and Love.